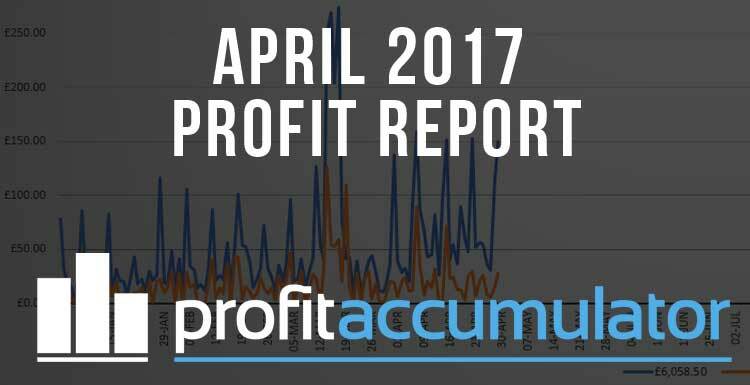 April has been another strong month for matched betting, with daily guaranteed profits exceeding £100 five times. We asked users of our matched betting forum to let us know their matched betting income for the month. 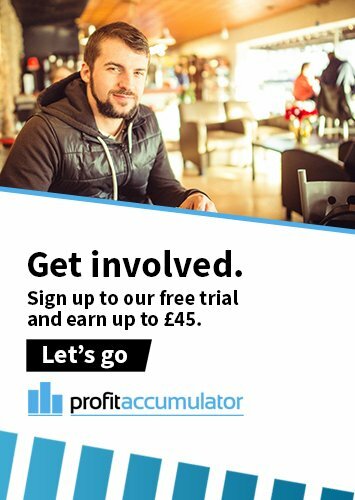 SimonPaul: £850 for me, most from 888sport PP, 365 offers, loads of acca and Ladbrokes in-plays. Zooyork087: £809.51 for April. Accas (had some crazy good odds shift on a whole bunch of £50 accas this weekend, made an extra £100 to normal on them) and reloads, also did TLCBet and EnergyBet sign ups, about £20-30 from each of those. Good month for me. jennywrenjewels: £757 this month from accas, reloads and some casino offers. This has pushed me into the £10,000 club and I am one year and 8 days into matched betting life! Franky4Fingers: Still can't quite hit four figures but £960 for me. Accas, accas and more accas. I work full-time and have a two-year-old and a four-year-old. The extra cash is awesome but I'm looking forward to the summer off! aure: £443.77 on a bankroll of £1,400 - £58 from reloads, £201 from accas, £183 from casinos. One nasty odds drift early in the month cost me about £150 over about seven accas, otherwise would have hit £600. MioKontic: I still have two bets to settle for April - one later today (Monday) when the snooker finishes, and the other on May 7 on the French presidential election. They will give me a profit of just over £593 for the month. I was over £600 a couple of days ago, but against my better judgement I did the William Hill scratchcard offer where I had to wager £20 on the Centurian slot to get a £10 free bet; I went nearly £13 down during wagering! got a little under £8 back from the free bet. Also, my acca finished yesterday (Sunday) and it had one losing leg, so £17+ loss there with a £30 free bet to come, but not received that yet so it will be in May's profits. Most of my profits have come from risk-free offers, locking in those £1 and £2 bits along with some regular weekly risk-free offers and some more specific ones. In fact, most of the low-risk offers I have done this month have lost me a few quid rather than making me money, which once again underlines my thoughts on doing them. GuitarMan: Not honestly sure this month... I didn't write it all down as much as I usually do. Made £3,220.43 total but that is including betting and other bits. At a guess - purely on PA - I'd say £1,800 - £2,200. fredsmith: £1,299.21 in April. Breaks down to £586.03 matched betting, £848.03 casino offers . Minus a £124.84 loss from mug bets. fredmeister4000: £1,977.41 for me this month, being my best month by a country mile. This mostly came from large stake 2UPs (now severely restricted..), High 5 when it was on, Extra Places @ Grand National, as well as a few accas here and there (still haven't managed to get into a routine for accas). Also been lucky with the odd casino offer as well as unlucky in backing/laying the wrong horse among other mistakes along the way. Goals for the future: Be more careful and don't rush into anything, if in doubt/rushing, just leave it. Not worth losses/cutting profits just to get on something. Thanks yet again to PA for everything - as a student this extra income is invaluable and just a lot of fun! MBeats: Record month for me this month. Grand total of £4348. Mainly consisting of big stakes 2UP, 4MM, High5 (when its on), WH 2 Clear and few lock-in/underlaid normal accas in there to cover QLS. Casino made up £1750 of this months profits dont ever attempt them all only the ones I see good value in and always do. celt123: £2,189.51, mainly casino offers, helped by a £654 win on WH free spin offer. grahpaul: Nearly £2,000 mostly from accas, 1 to 3 hours a day, hardly any sign-ups, some reloads, and nothing from casino or bingo. I will be online in the afternoon so I can start horse refunds and extra places now that football is finishing. The Profit Tracker really makes a difference - it finally helped me to understand the accounting process. RSRichard: £838. A little below my usual £1,000 target, but that was my own fault by losing focus in the first couple of weeks of the month and getting in to bad habits. Smacked myself about a bit and got back on track. barbaramistroni: About £600, making it my best month so far, after finally taking the leap of doing accas everyday and having no sign up offers left. My bank took a couple of personal hits recently, but I'm going strong for the last push at the end of the football season! winstanleys: I've made £48.55 from sign-ups. Only just started the back end of April and have only managed to do four sign ups due to couple of days away over Easter. I definitely feel like its an uphill climb as need to build up my balance to be able to maximise profits. Joe Donny: Only started logging all my matched betting activity from the 11th of this month and managed to make £913. Mostly through 4mm, few casino offers and accas.